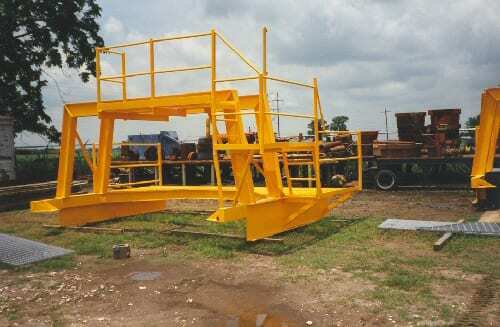 2M Oilfield Group offers in-house industrial sandblasting and painting services which would complete your custom fabrication and/or heat exchange refurbishing project specifications. Our 40 Ton sandblast pressure pot along with 2 to 5 gallon paint pots (pressure and airless) are readily available for any job. sandblasted and painted at 2M. 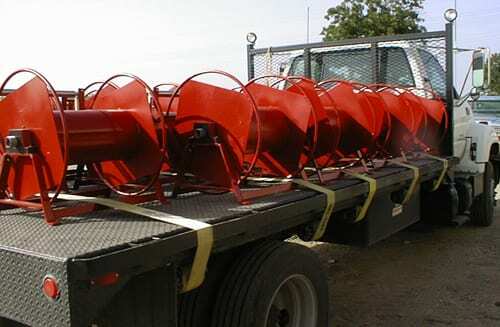 Wash down rose reels with stainless steel roller guides fabricated, brush sandblasted and painted. Delivered to customer location by one of 2M’s fleet of delivery trucks. Custom fabricated pallet transport boxes fabricated and painted by 2M. 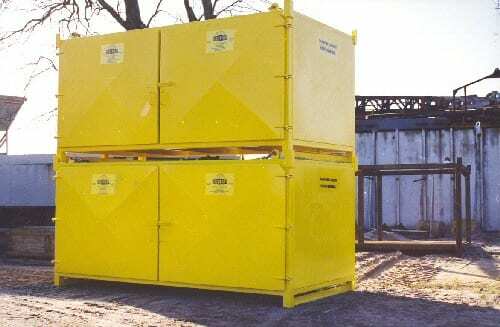 Theses units solve the problems associated with transporting bulk palletized items such as drill mud, sacked products or any other fragile packaged items.